The calls to divest from fossil fuels are getting louder in response to the growing scientific consensus that emissions of greenhouse gases are causing climate change. Since 2011 the Carbon Tracker Initiative has argued that the majority of the world’s fossil fuel resources are ‘unburnable’ if we want to limit global warming, and has warned that fossil fuel reserves held by companies listed on stock exchanges are heavily exposed to a potential carbon bubble. The objective of this research is to identify which fossil fuel investments in private companies were present on the balance sheet of five key multilateral development banks (MDBs) as of 31 December 2013 to see to what extent their actions are consistent with their rhetoric that urgent action is needed to tackle climate change, and to assess their exposure to a potential carbon bubble where investments in fossil fuel companies could lose significant value. The MDBs included in this study are: International Finance Corporation (IFC, the World Bank Group’s private sector arm), Inter-American Development Bank (IDB), Asian Development Bank (ADB), European Investment Bank (EIB) and European Bank for Reconstruction and Development (EBRD). The MDBs are publicly backed banks mandated to promote economic development (and in the cases of the IFC, IDB and ADB to reduce poverty). 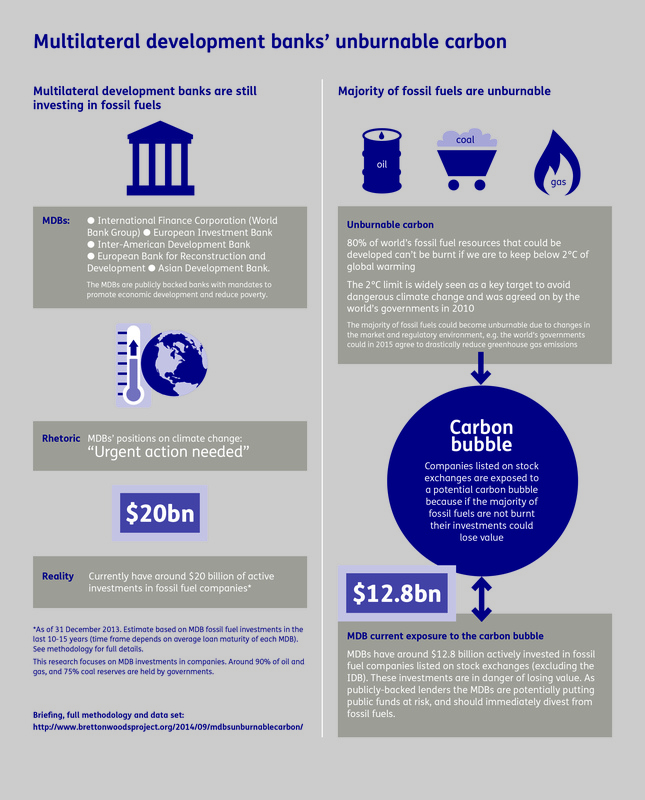 Key multilateral development banks (MDBs), such as the IFC, IDB, ADB, EIB and EBRD, say urgent action is needed to tackle climate change but continue to invest billions of dollars in oil, gas and coal projects. These projects include extraction, infrastructure, research and financing. On 31 December 2013 the MDBs researched had around $20 billion active investments in 179 fossil fuel projects on their balance sheets. 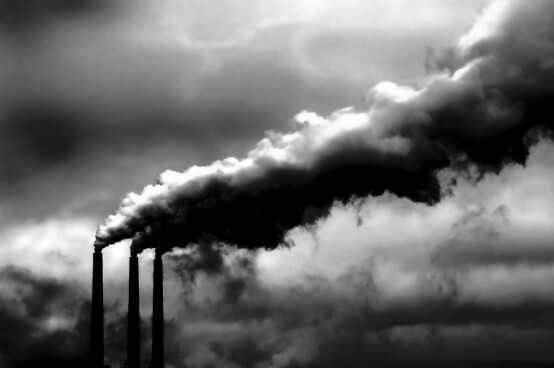 The MDBs publicly backed investments in fossil fuels could be at risk if the ‘carbon bubble’ bursts. The MDBs have $12.8 billion invested in publicly listed companies that already have access to capital markets. Instead of backing small and medium energy companies to support infant renewable energy projects the MDBs favour established fossil fuel companies. The MDBs active fossil fuel investments have an estimated carbon potential of 29.3 gigatons of carbon dioxide (GtCO2). This is equivalent to around 5% of the world’s remaining carbon budget of 565GtCO2.